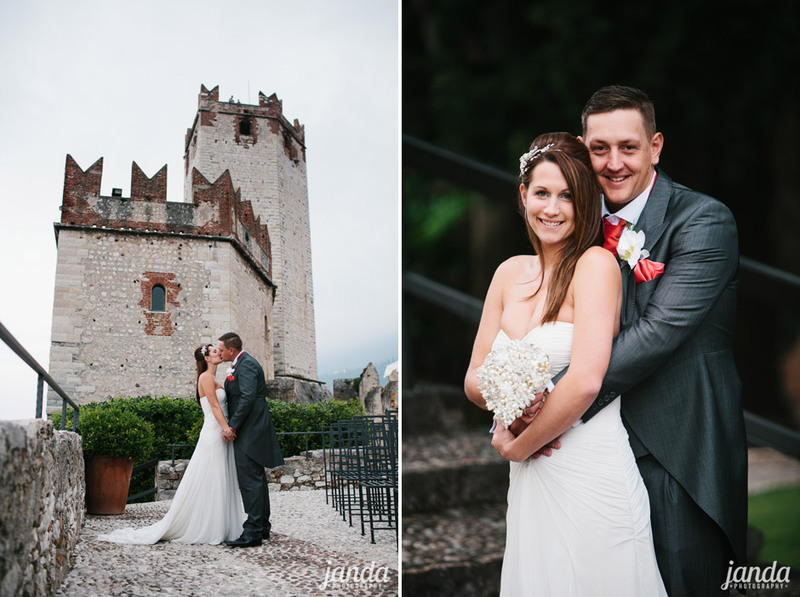 During the summer months there are 3 weddings a day at Malcesine Castle – an 11am, a 2pm and a 5pm. 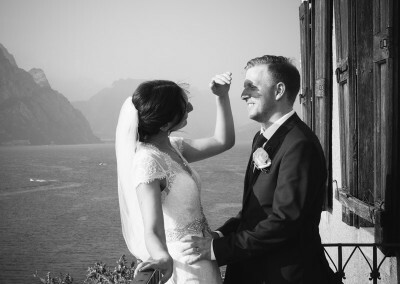 The weather in July and August can be very hot – often over 30 degrees – which is why many couples opt for a later start to their Malcesine wedding. 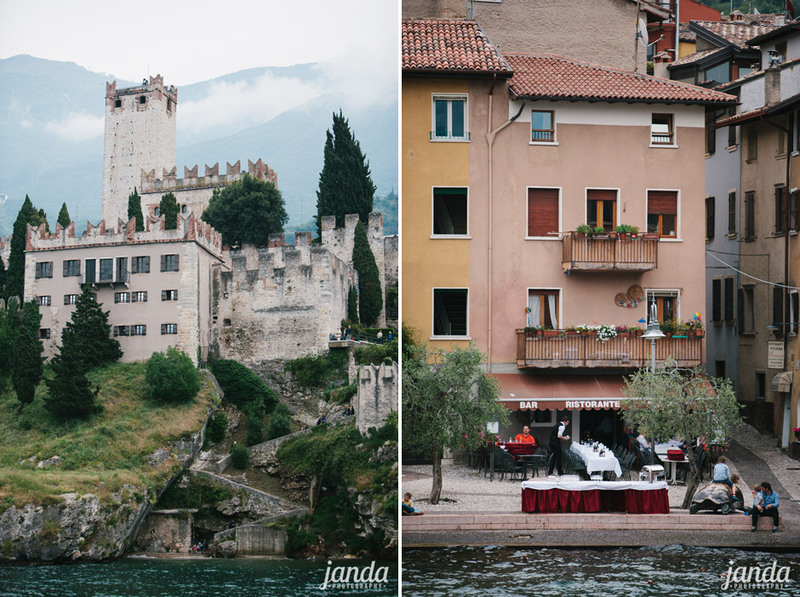 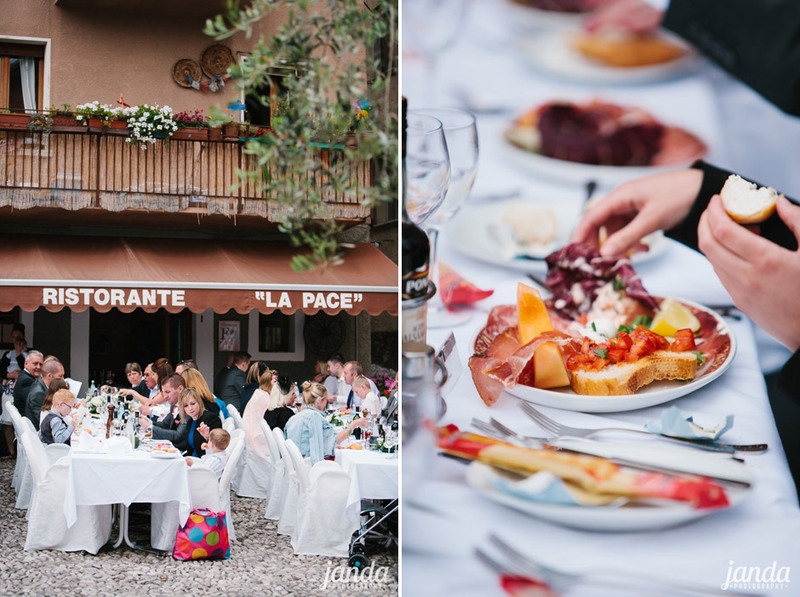 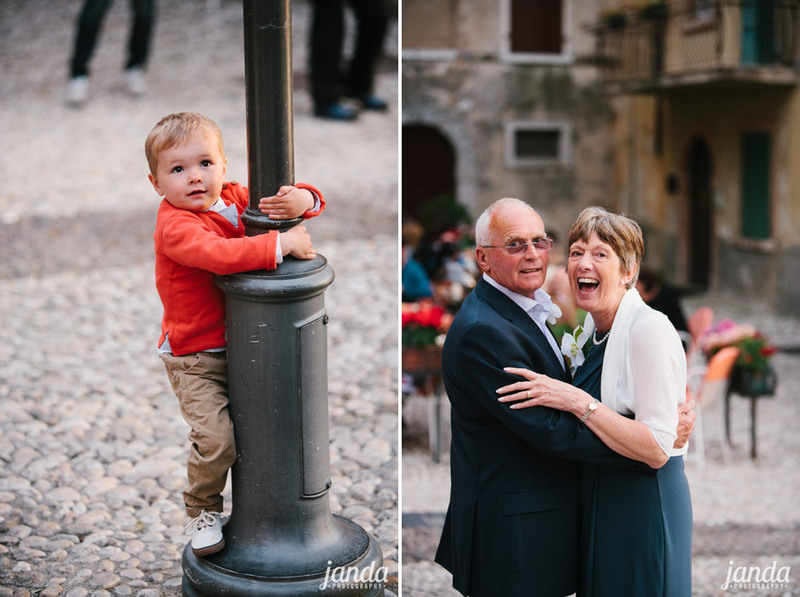 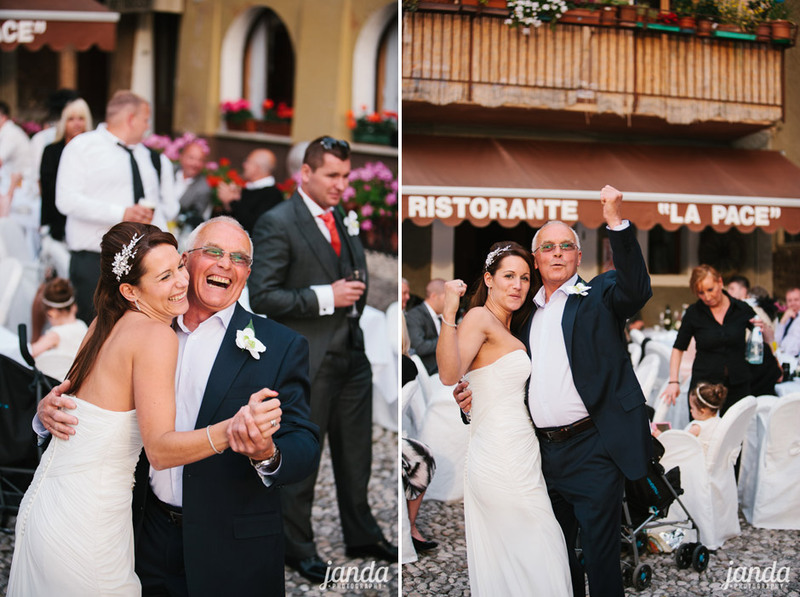 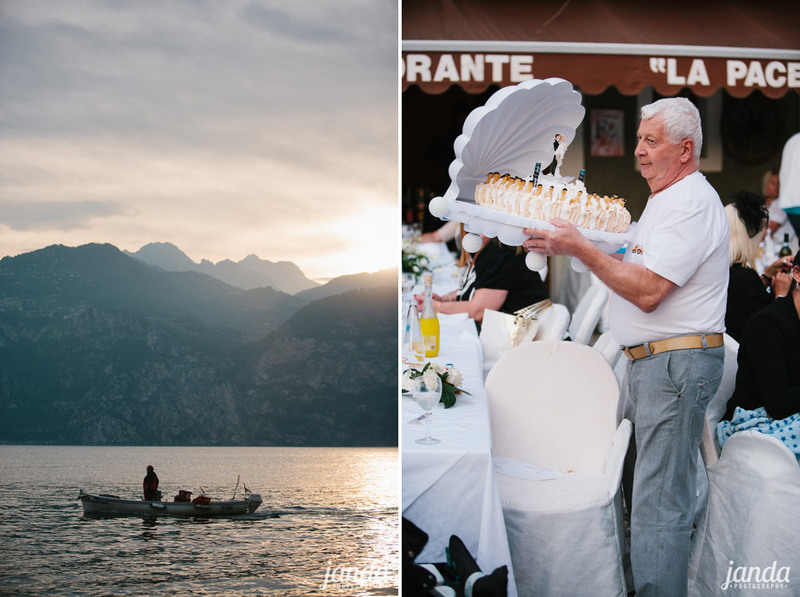 However, at the beginning and the end of the season it’s cooler and there are fewer tourists, so for their May wedding Michelle and Tony chose to begin at 11 o’clock and treat their guests to a full day event in this beautiful Italian lakeside town. 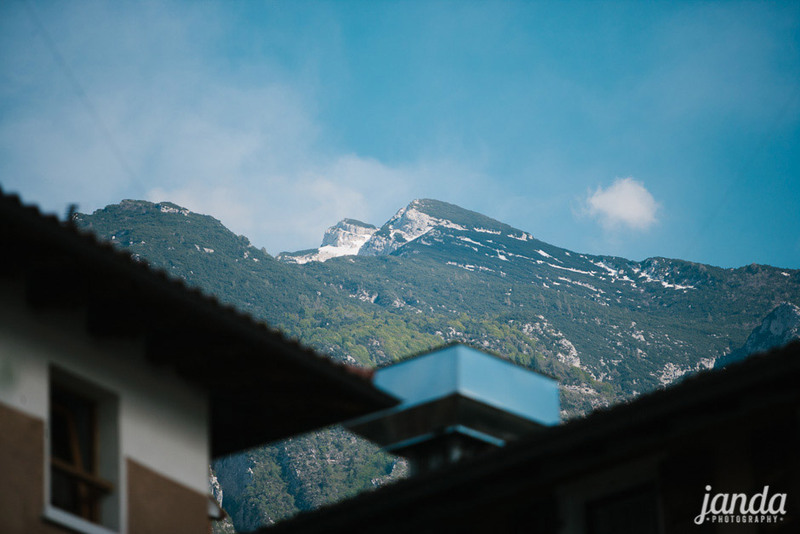 Here’s why we think they got it spot on. 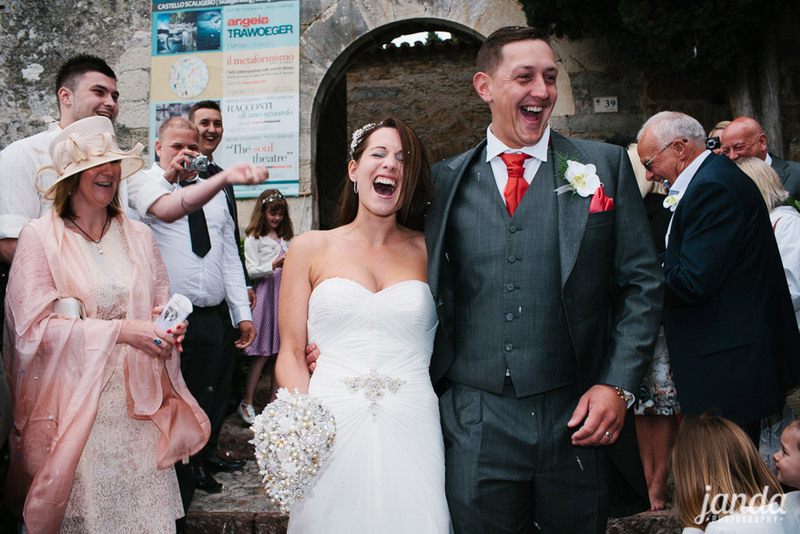 Ask anyone who has just got married how fast their day went by. 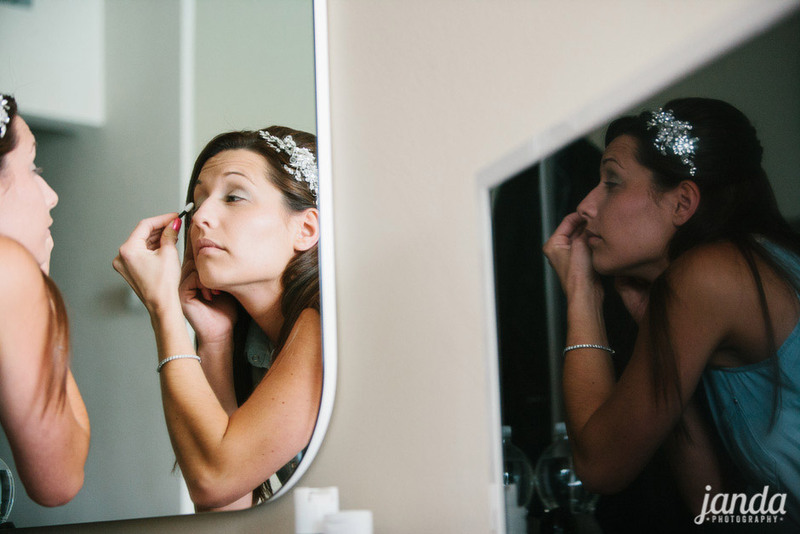 When you’re enjoying yourself time really flies and this is especially true on your wedding day. 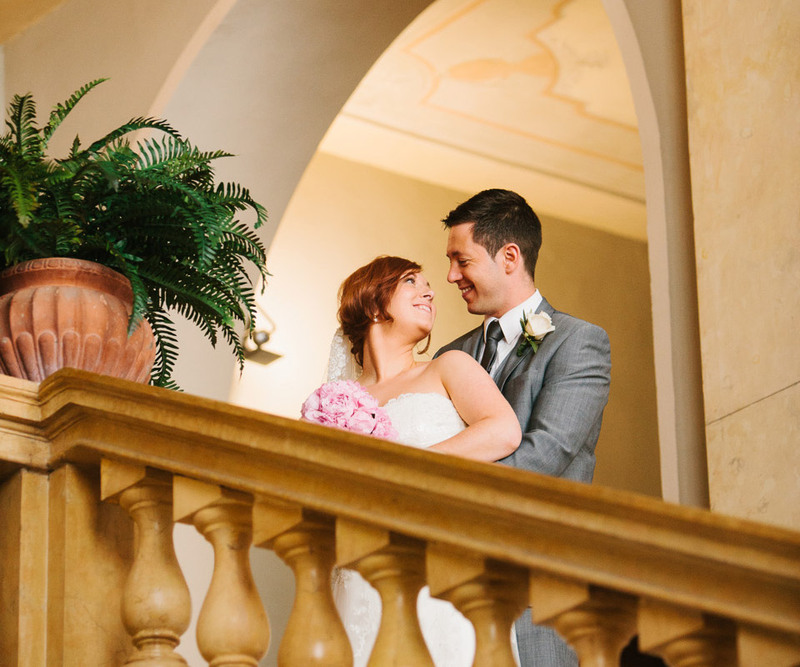 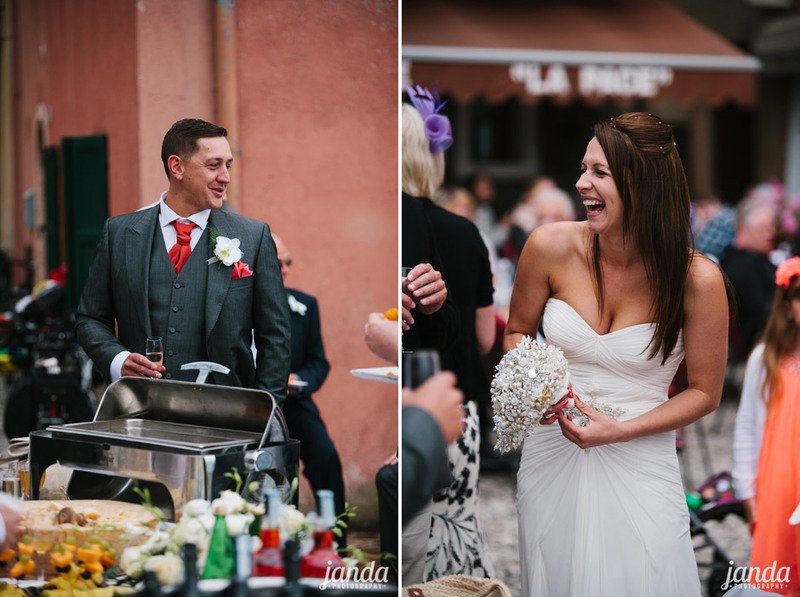 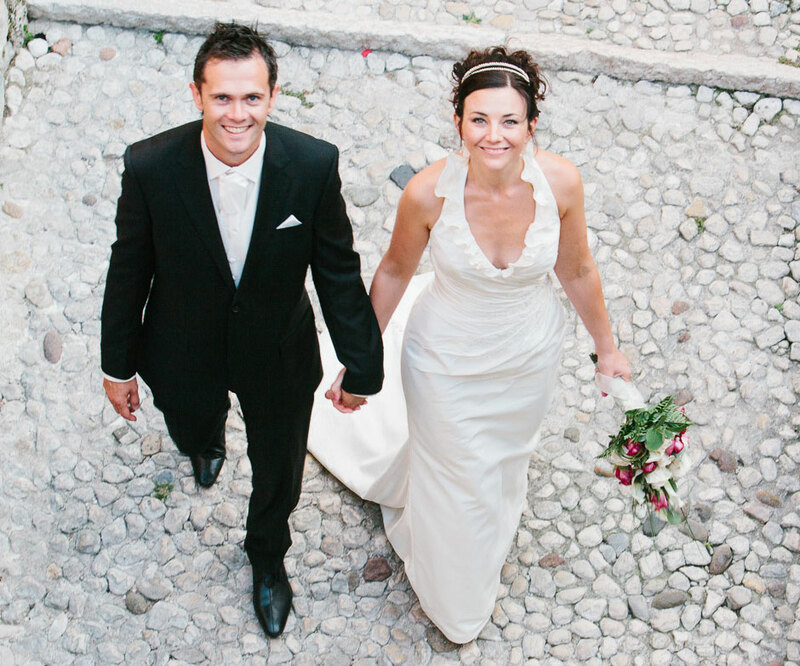 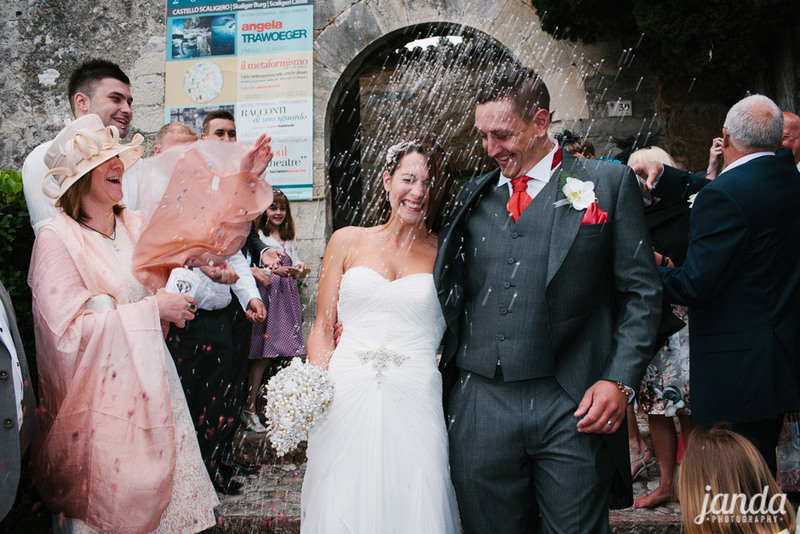 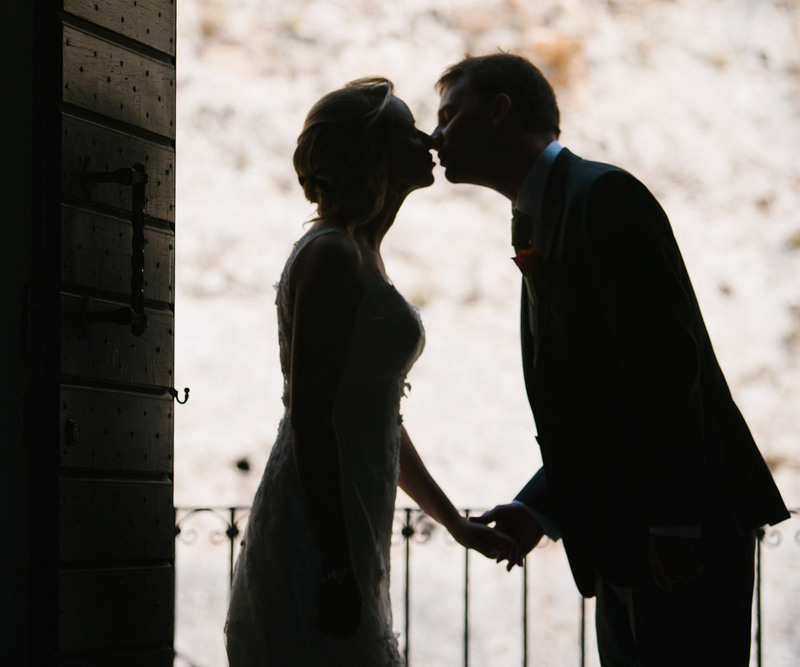 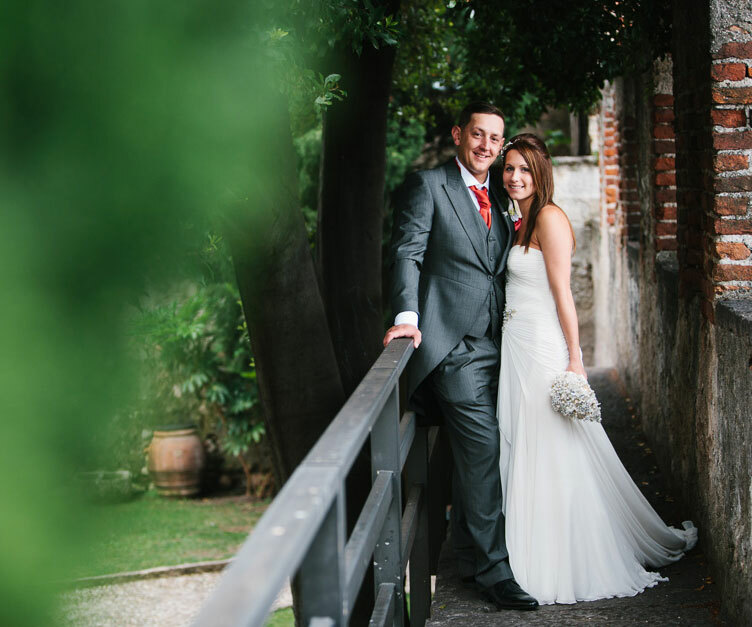 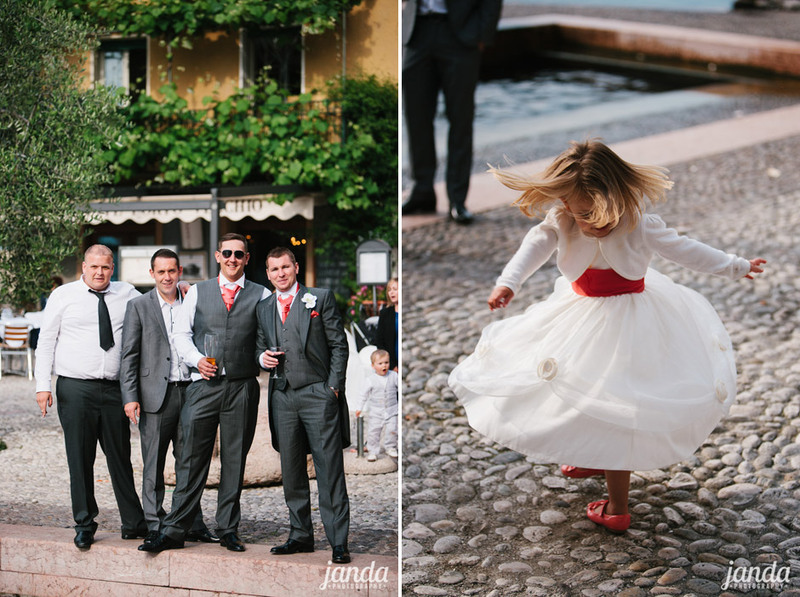 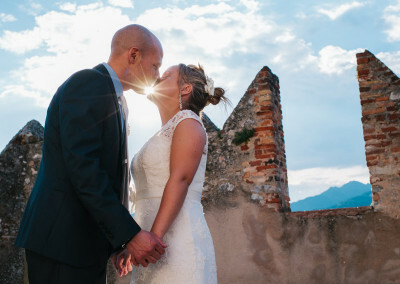 With an earlier start you will be making the most of this once-in-a-lifetime Lake Garda wedding, allowing yourselves more time to chat to your guests and to connect with each other as husband and wife for the first time. 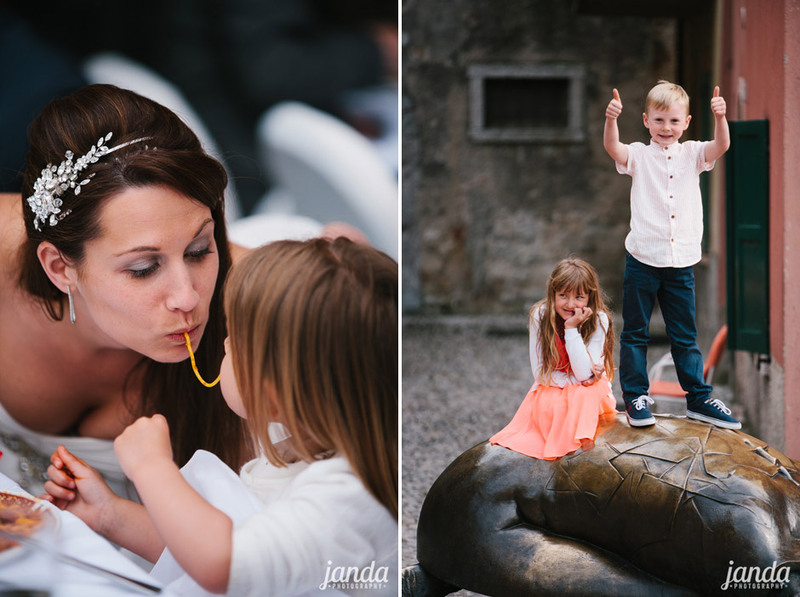 ‘Won’t our guests get bored?’ you may ask. 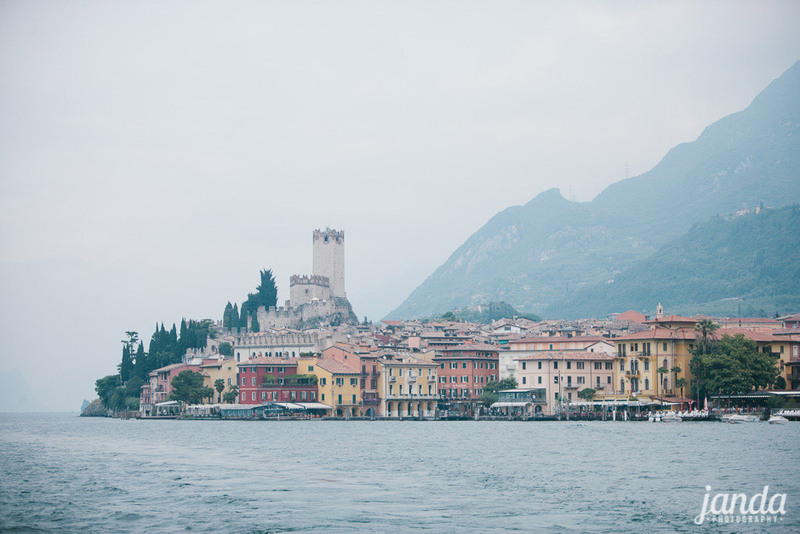 Quite simply, no. 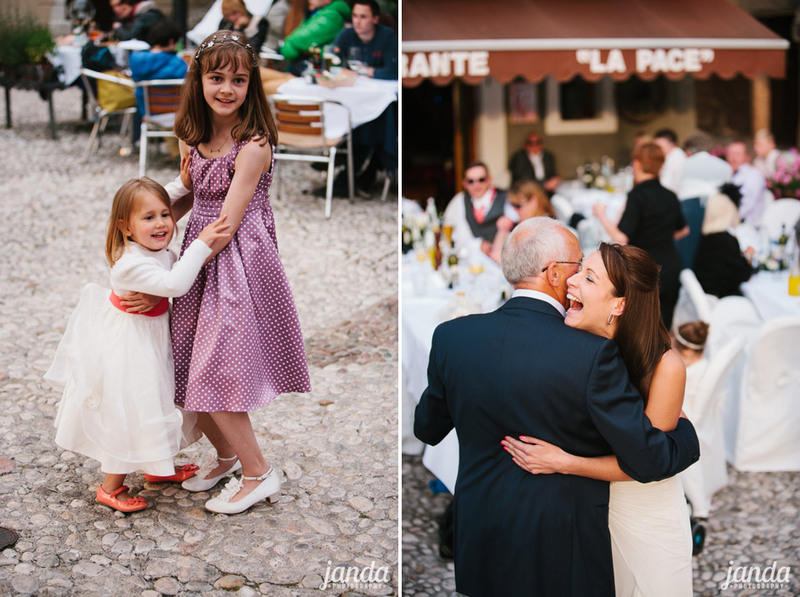 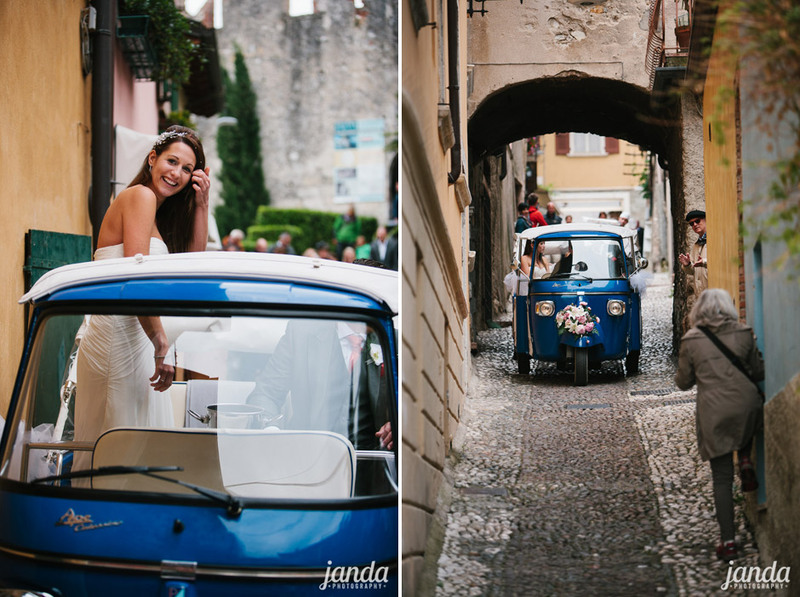 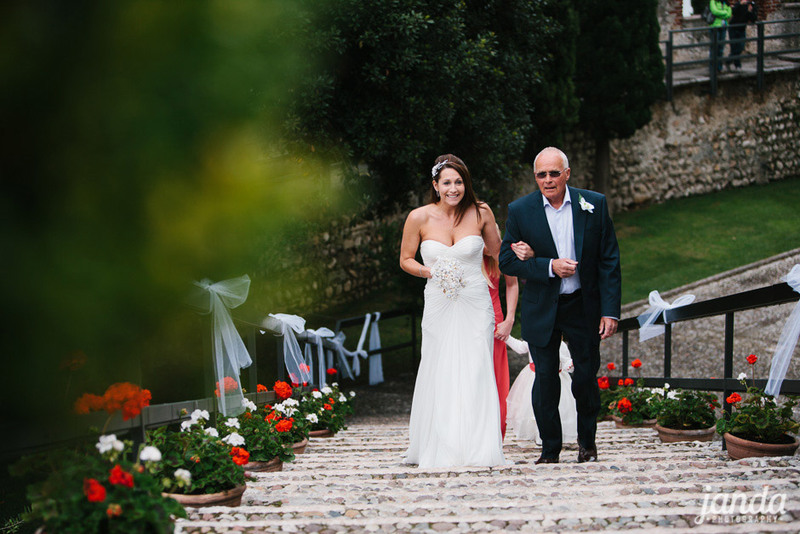 After the ceremony we spend half an hour or so taking bridal portraits, during which time they will have the chance to explore the castle, visit the ice-cream parlour just outside the gates, or pop into Bar Il Museo for a spritz. 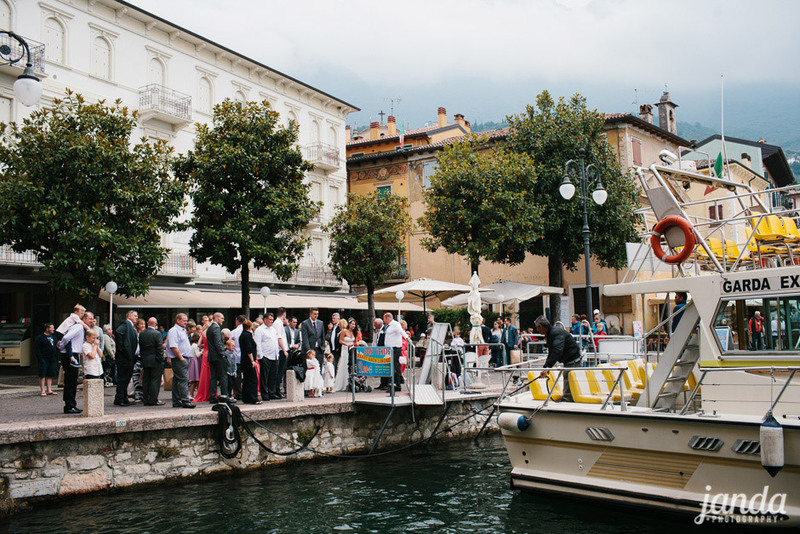 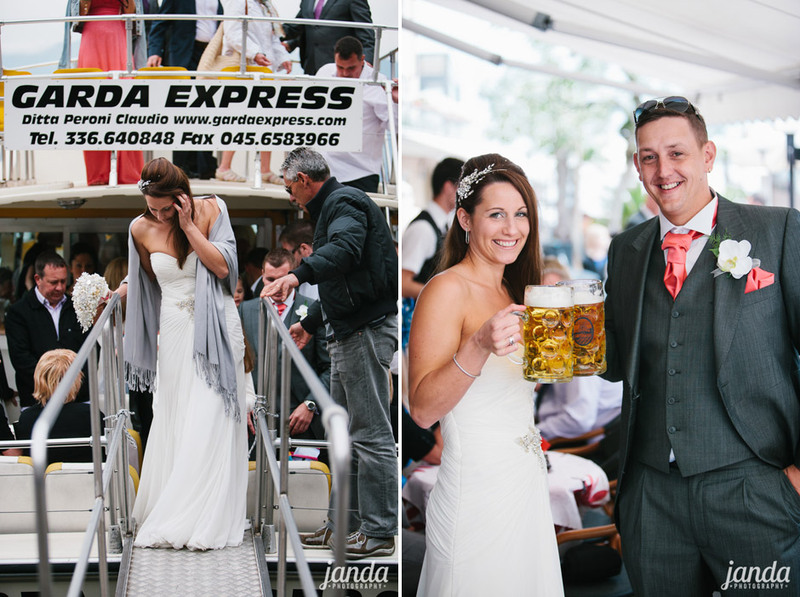 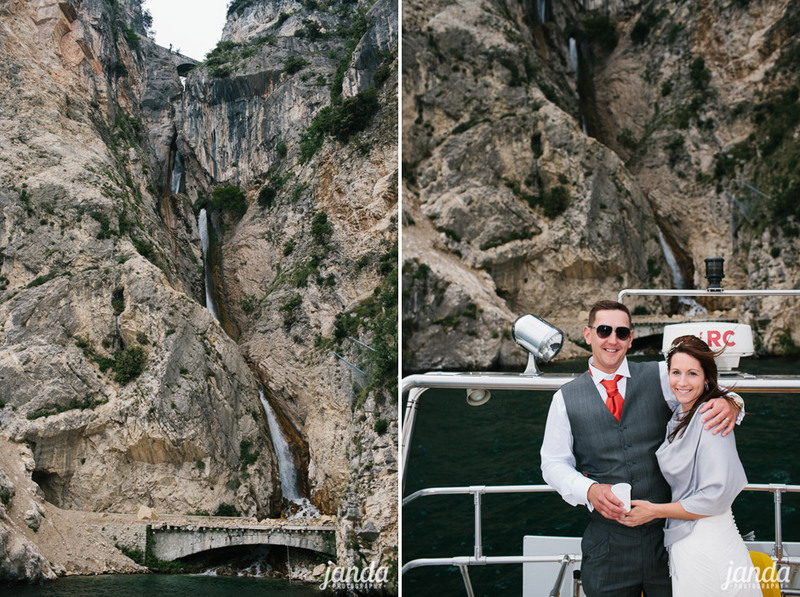 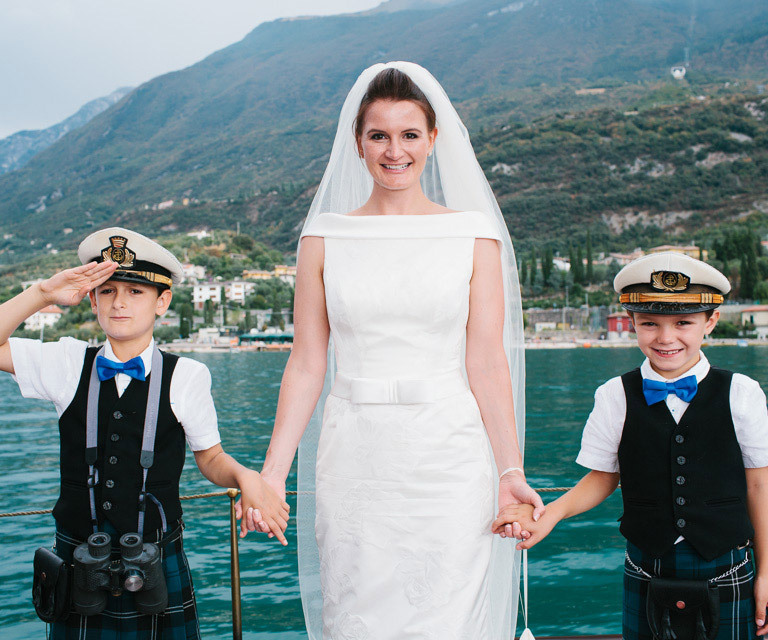 Nearly every Malcesine wedding incorporates a boat trip at some point. 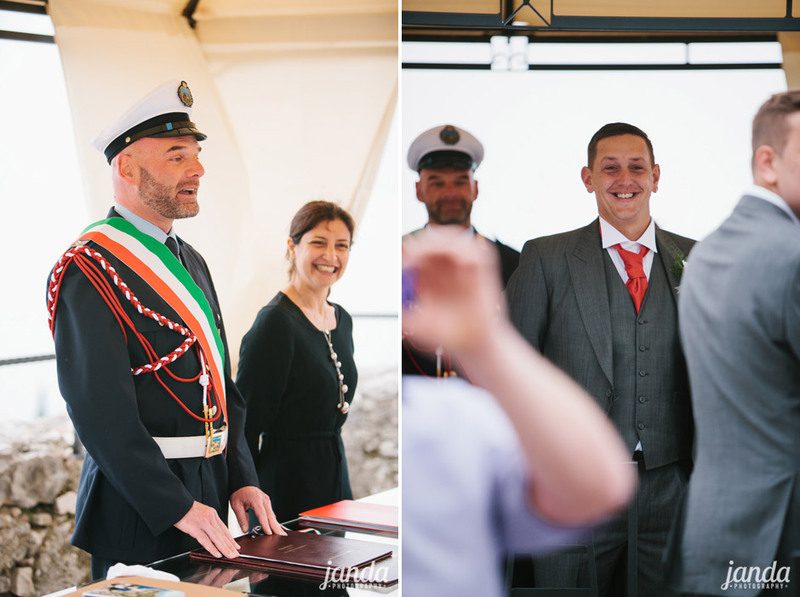 With a comfortable stretch of time between the ceremony and the evening celebrations you will have the freedom to while away an hour or so on the lake. 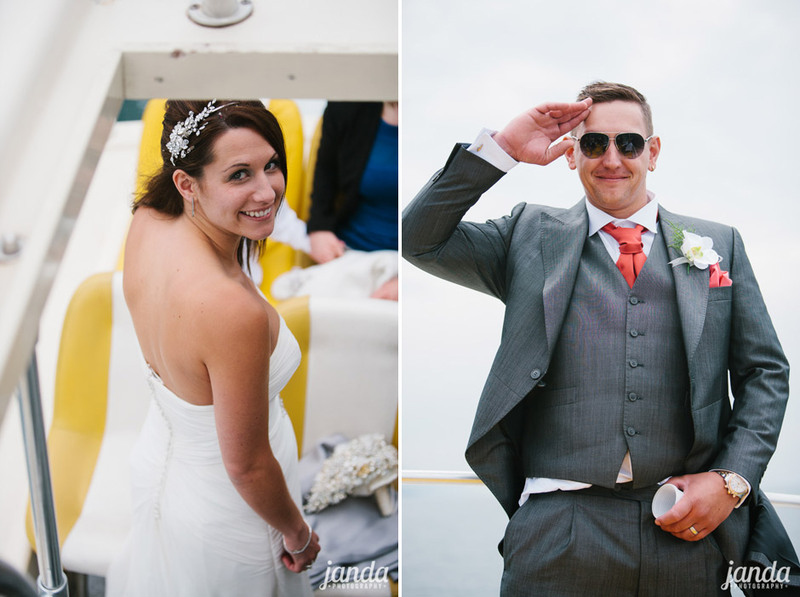 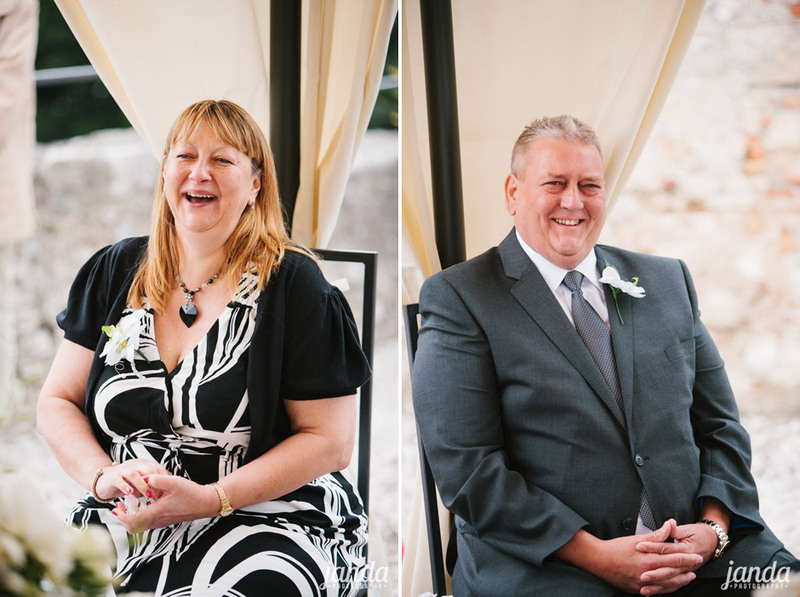 There are lots of bars around the harbour where your guests can enjoy a cool drink and if you like, as Michelle and Tony did, we could wander off and explore the town and capture some more relaxed portraits. 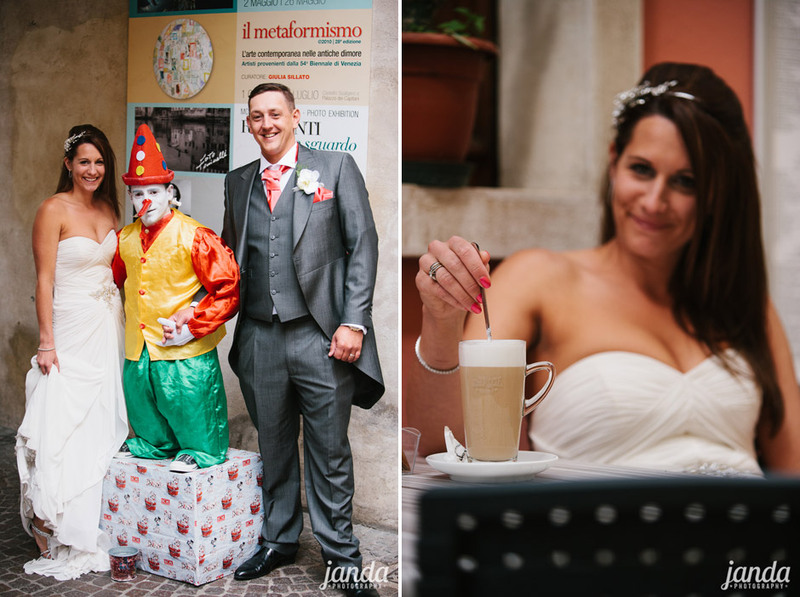 There may even be time for a latte and a photo call with Malcesine’s clown. 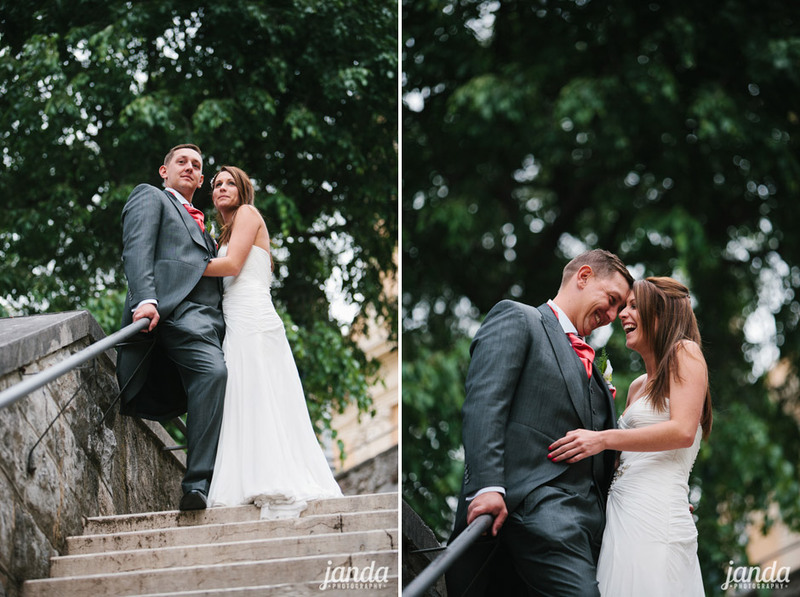 Last but not least, remember that we only photograph one wedding a day. 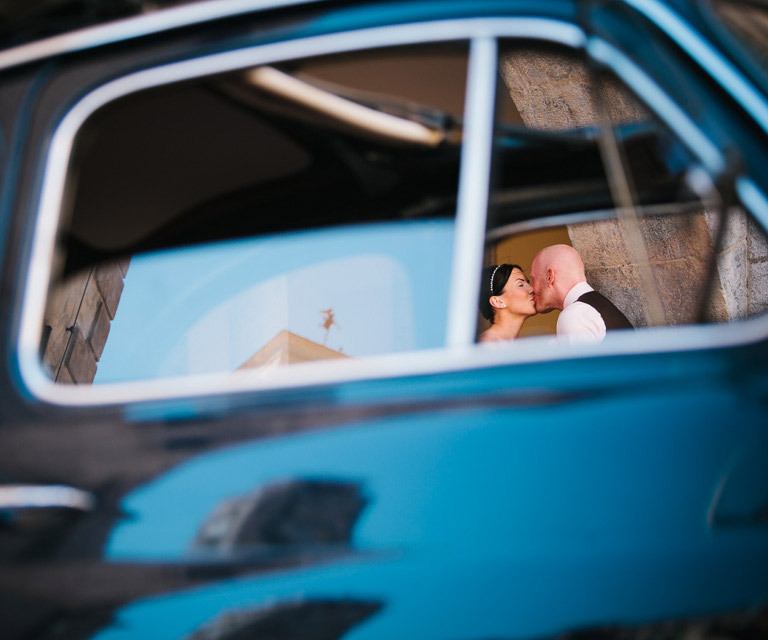 We’re along for the whole ride to tell your story. 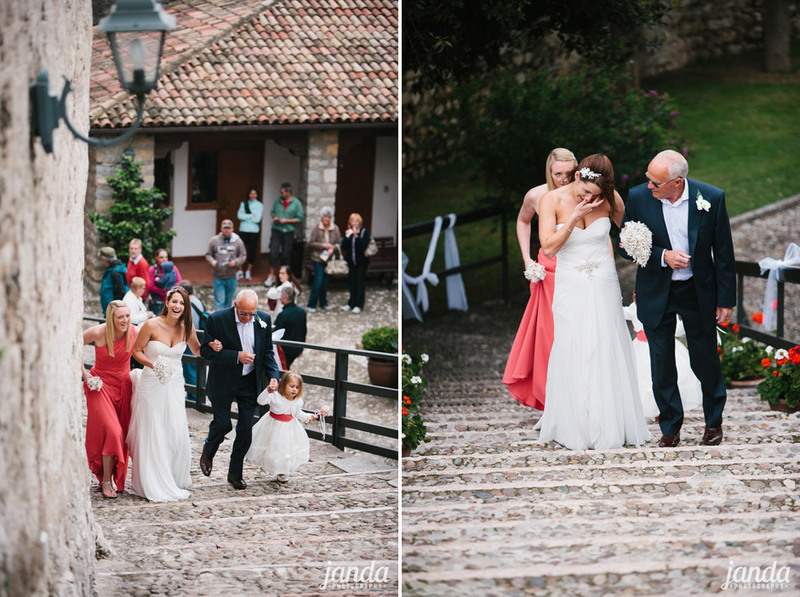 And a longer story means more pictures. 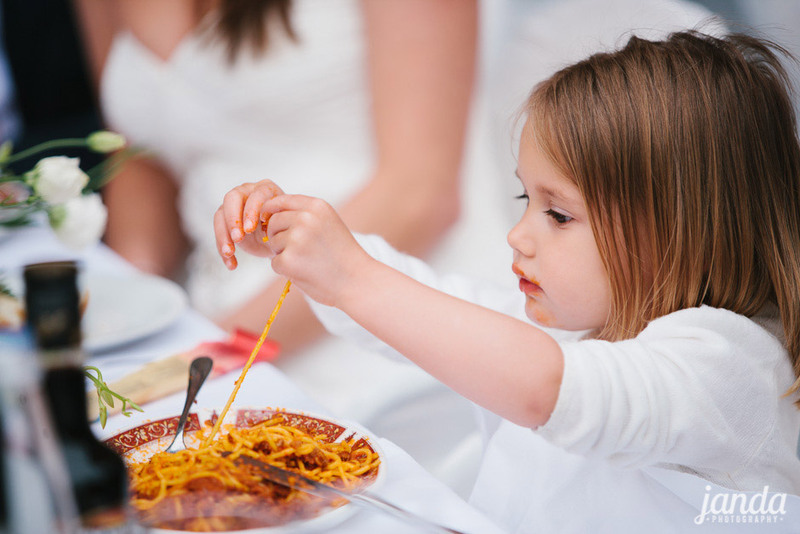 So our advice is start early; enjoy more. 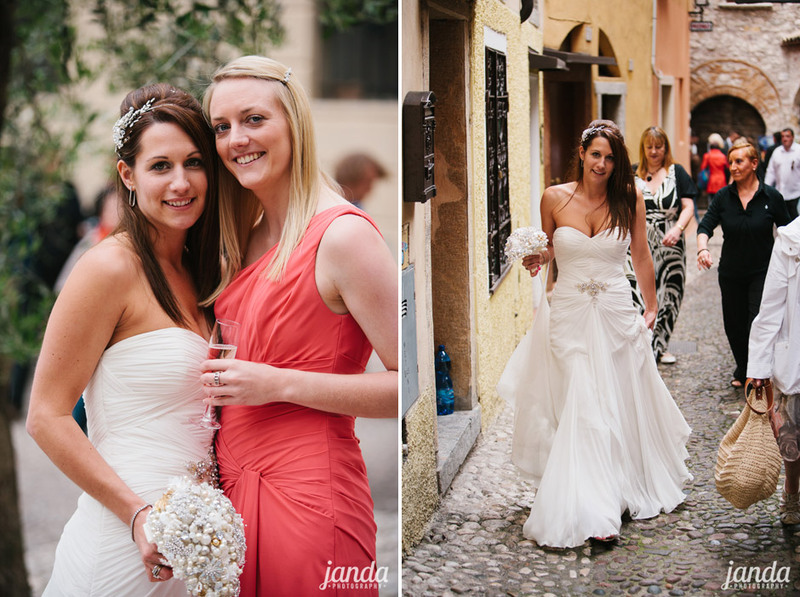 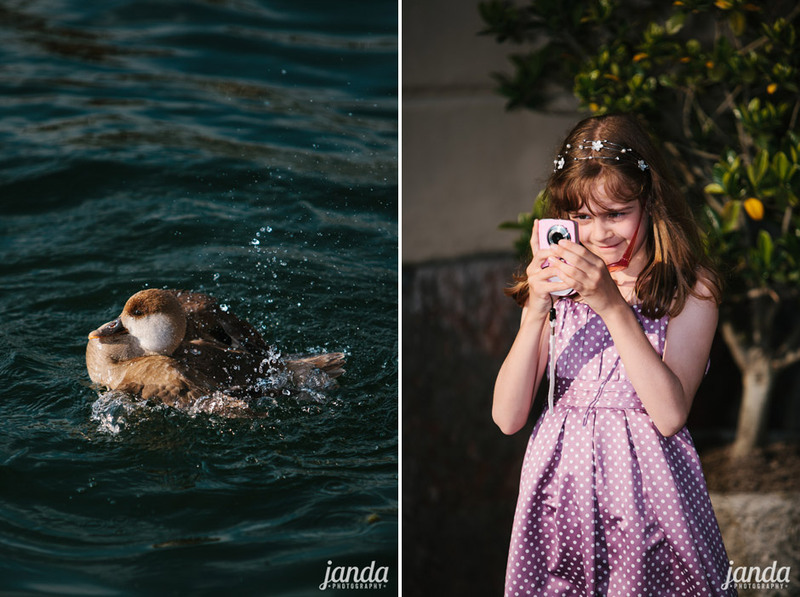 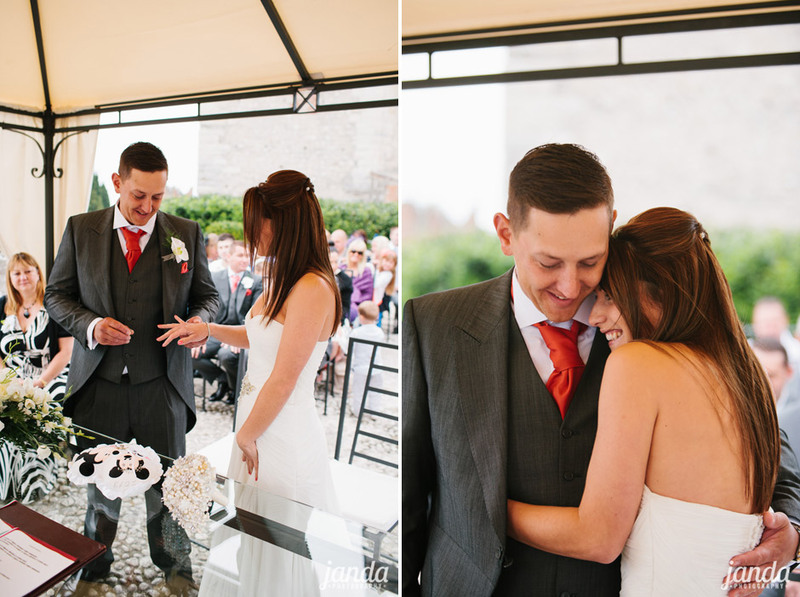 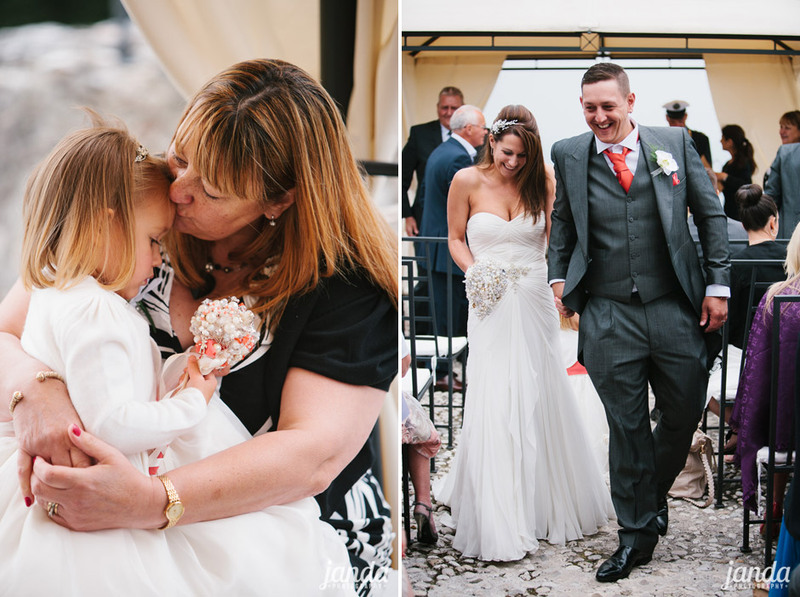 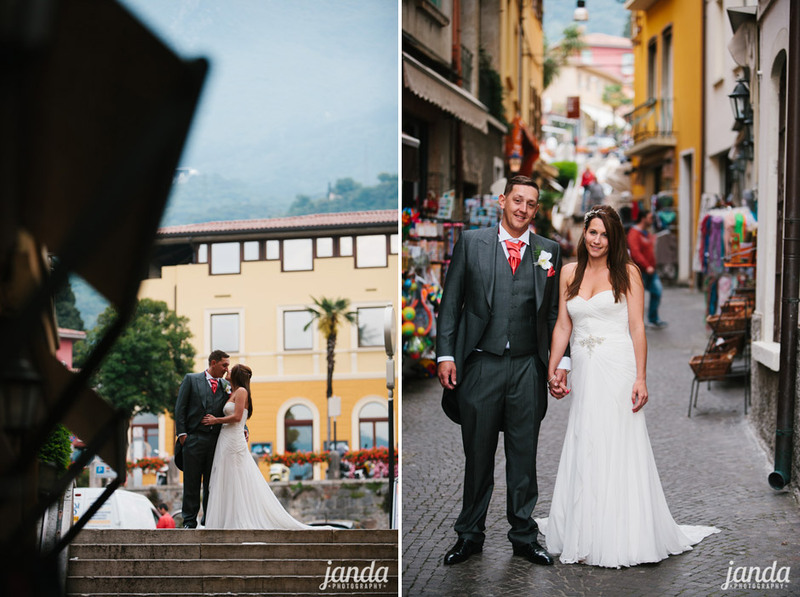 After speaking with Jon & Angela for the first time we knew we wanted them to be our photographers for our wedding in Italy, We are so thrilled with our photo’s they tell the story of our wedding day and what a day to remember it really was! 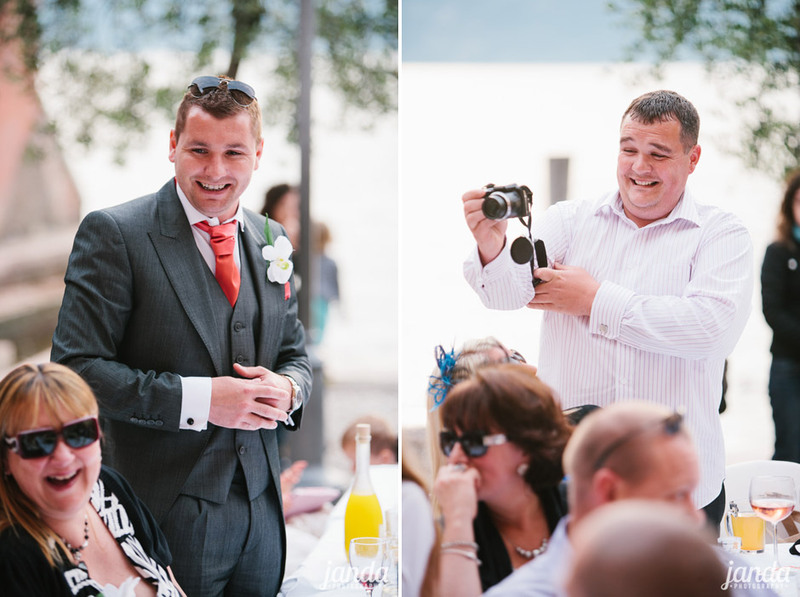 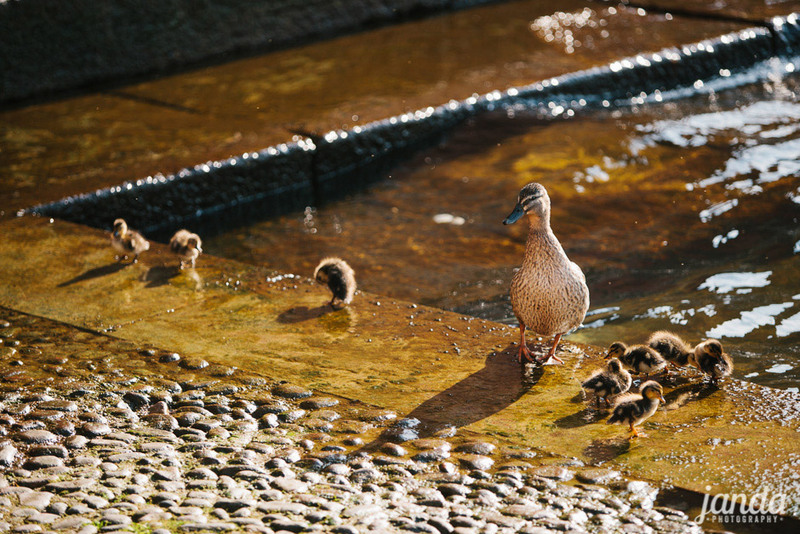 Our friends and family even commented on how Jon captured every moment but you hardly noticed he was there, he gave us some good advice about taking a little time out together which we really needed to take in the day.